It's already the middle of June. This fact truly baffles me. Yes, I'm susceptible to the nostalgia, the rush of emotion that comes with the end of school year and arrival of summer, but this time, this year, it is more. The past several months have been an existential blur in my world and I find myself squinting to see it all, knowing full well that I won't, that there are times in life that will, almost by definition, remain mysterious, unknowable, deeply affecting. I mentioned something on Instagram and Facebook, but not here, and that something is that my mother was diagnosed with cancer in mid-December. Out of the proverbial blue. I got the call on a Friday afternoon, just as I was about to host a play date for my youngest daughter. By Sunday, my mother was speaking on the telephone with an esteemed surgeon and by the following Friday, she was in surgery with this brilliant man. The surgery, thank goodness, was a tremendous success, and Mom healed remarkably well. Then she began an 18-week course of weekly chemo treatments. I went with her most Tuesdays and though I have real anxiety about medical stuff (caused, I suspect, by my miscarriage and Dad's illness), I showed up each week and sat with her and we had the most wonderful conversations and we laughed a lot too. And then her treatment was over and they scheduled her for a scan and she went in for it and we waited for the results and then my sister and I went in with Mom, on yet another Tuesday, and her oncologist came in the room and told us something glorious, that her scan was clear and that she's now in remission. Oh did we breathe in that moment. The world was different when we left Sloan-Kettering that day, its hues brighter. 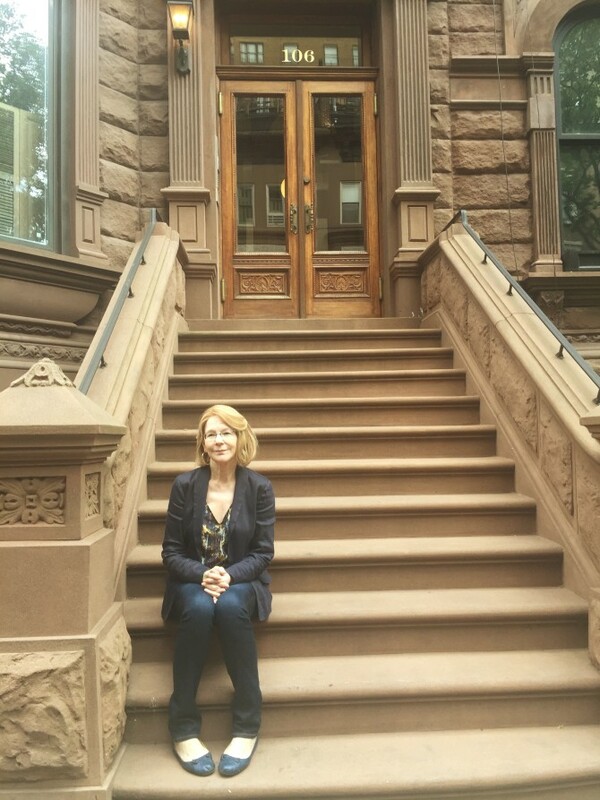 I took a photo of Mom sitting on the front stoop of our childhood home. She didn't just look okay for what she had weathered. She looked beautiful. And here I am, here we are all, on the other side, trying to resume normal life, but I find myself wondering what that means. I am changed. Again. I lost Dad in 2008, almost eight years ago, but the loss is in many ways still fresh, still raw. And now this experience with Mom? It has scared me; it scares me still. At times, it has all felt truly unfair and like too much to bear, but this is not about fairness. We cross fingers; we say I love you and thank you and pretty please; we push through. Again and anew. Always. But now: things have brightened. It is summer. How do I want to spend this summer? This is the question I keep asking myself, and considering. I know that I want this summer to be about time with my man and sweet girls. I know that I want to devour good books. I know that I want to write because writing is akin to breathing for me. I have been unable to write much in the past several months because I've been so distracted and drained, my heart and mind tethered so tightly to an uncertain reality rather than to the cherished world of my imagination. I've forgiven myself for this, and continue to forgive; it all makes sense. What I really want, I suppose, is to spend the next couple months asking and living the questions I haven't had or made time for, questions that don't fit snugly into short blog posts or even into long novels. Questions, private and profound, about myself and my life and the world, about who I am and what I've been through, and where it is I hope to go. On a basic level, I hope to have a summer of slow moments of noticing, of life, of love, of lightness. Lightness, please. Last week, I watched my tiniest babe graduate from preschool. She wore her little white dress and leopard shows and cap and gown and received a diploma and she was so excited. Her big sisters got her a graduation emoji cookie. We said goodbye to our preschool after more than seven great years. Yesterday was my big girls' last day of school. I had Husband snap this picture of us. I watched both of them walk through the white arch I walked through so many times in my day, into the second and fourth grades, and my oldest daughter had a touching Third Grade Farewell Ceremony. She was so big and poised up there on stage in her bohemian jumpsuit and brown glasses, singing and smiling, and I found myself filling to the brim with bright memories and fierce love, overcome with electric pride and bittersweet disbelief. And then last night, I went to my nephew's Dalton high school graduation. I sat in the audience and watched a slideshow of the Class of 2016. There was a picture of each child as a baby and then as a high school senior. I didn't know most of these kids and yet I sobbed because I felt it, the keen, unrelenting march of time, of change. I couldn't help but imagine my nine-year-old up on that very stage, tossing her black cap in the air. My nephew, a cellist, played with a quintet on stage during the ceremony. The yellow tassel from his cap kept getting in his face, making us all chuckle. But then they played and it was gorgeous and stirring and I cried some more when my sister sitting beside me said she was thinking of Dad. Dad who loved music; Dad who would have been so wildly proud. One night a few months ago, I called Mom to check in and see how she was feeling and I can't remember what the answer was on that particular day, whether she was feeling alright or ill, but I do remember her saying something else, something philosophical and wonderful and true. Something that has stayed with me. Something like: Maids, I've been thinking about it and the truth is that all we have is today. All we've ever had is today. I hope all of us have summers filled with the people and things we love most, with work and wonder that is meaningful, with time to curl up with good books and to ask the big beautiful questions that transcend the static of the everyday, with sunshine hugs and lemonade laughter and todays so blazingly bright we might never forget them.